Plus, your permission slip to DO THIS THING. These are all of the things you don’t have to be afraid of if you want to start a blog. Permission granted to do this. I’m here to help you cancel out all of those fears. There are millions, if not billions of blogs that exist in the world today. They range from the very common food, or fashion blog to blogs about dissecting the worst parts of mcmansions. Some of them are amazing. Others, not so much. So when you’re first starting out, you’re probably going to tell yourself “a million blogs already exist in the world, why is mine going to be any different? And then you won’t start one because you talked yourself out of it. I know what this is like. I’ve had this conversation over and over with myself throughout the years – constantly telling myself that I wasn’t good enough to do this. Put the thought that you’re not going to be good enough away. If you’re thinking about doing it, chances are you should. I’m going to give you all of the permission you will ever need to start a blog. And I’m going to keep encouraging you until you’re sick of me. I’ll keep encouraging you until everyone knows about your blog. I’m going to be your biggest hype woman because I believe in you. Here are some of the things that make people afraid to start a blog. Quite frankly, they’re all excuses, and bad ones at that. Here’s the thing about you. In the entire make up of the universe, you are the only you there is. You are the only person who can tell a story the way that you can. You are the only person with your perspective of the world. That won’t make your content special, or even enjoyable. It’s probably not going to make you a successful blogger, but it should give you permission to write even though everyone has a blog. You have a story that only you can tell. That’s a big deal. One of the biggest fears about blogging is that you don’t know where to start. Here’s the worst kept secret: no one does. Do some research. With the millions of blogs out there, there’s so much advice. What skills do you already have? If you can design and code, you can probably make something custom. If you can’t, there are millions of designers and developers who’ve already gotten the ball rolling for you. Start by starting – whether that’s researching, talking to other bloggers, or just picking your name and topic. It’s true actually, no one is going to read it at first, but that gives you time to cultivate a voice, and refine your message. It’s actually a good thing no one will read it. I still have some of my old blogs up, and I would be mortified if you all went back and read them. I leave them up because they’re a part of my journey as a blogger and a person. When I told my mom I started blogging over 10 years ago, she pretty much said “so what.” SHE didn’t even read it. I had 1 reader – my best friend. And I pretty much wrote every blog for her until it caught on. But if you want people to read it, you’re going to be forced to create good content and share it with the world. You’re going to have to get over the barrier that you might not have any eyes on it. You just have to find it within you to say it all out loud. You’re going to have to get over the fact that people might leave mean comments. You’re going to have to get over the fact that you’re opening yourself up to judgement and ridicule. You’re going to have to get over the fact that if you spell something wrong, everybody and their mama is going to email you about it, but never tell you how good the actual content was. Ha, humans. You’re going to have to stop being afraid. Once you stop being afraid, there’s a whole world of possibility waiting for you. Nothing is perfect when you first begin. Malcolm Gladwell says it takes 10,000 hours to master a skill – I think Oprah backed that up too. The thing about your blog is that it’s going to evolve. I haven’t even kept the same template for a year, let alone the same message, or theme. It took an evolution of changes to finally get to a good place. It take an evolution of change to finally get to The Hangry Woman. And you know what? None of this is perfect, and a year from now, it will probably look different than it did today. Once I let go of it needing to be absolutely perfect, my content was the greatest it had ever been. My voice and message were clear. I stopped focusing on perfection, and started focusing on authenticity and honesty. I sure as hell don’t know how to be perfect, but I do know how to be real. So I did that. Now people always tell me that they liked how I’m approachable, and kind, and friendly. Nothing I portray is perfect, but it is all me. If you wait for perfection, you’ll never do it. So stop talking yourself out of what could be because you live in fear. If you your goal to blog is for PR and not because you want to teach something, or share your unique perspective of the world, you’re going to be SUUUUUUUUPER disappointed. Make sure your blog goals are about more than receiving things. Make it about building a tribe, or mastering a topic, or sharing a journey. The stuff? It’s bonus. But it comes with responsibility. Make it about filling a void in the world, and doing something you think is meaningful. Have a purpose, and you’ll never feel lost. 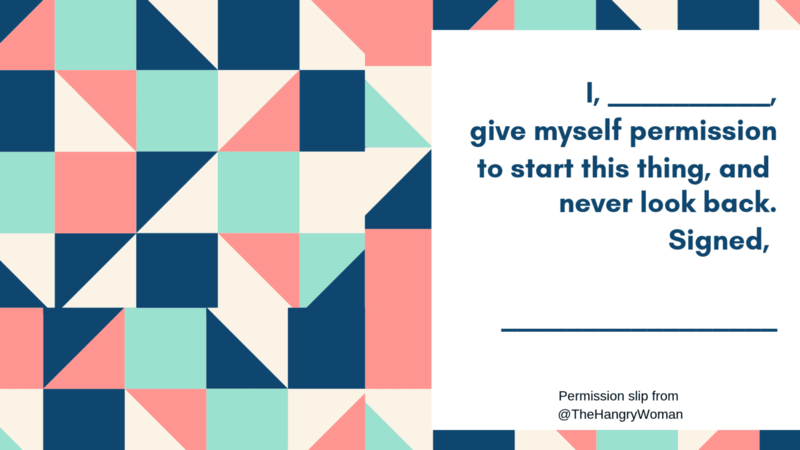 Sometimes we feel like we need to give ourselves permission. I believe that intentions are everything. So, I made you a permission slip. You can save it, and sign it, and keep it for yourself. 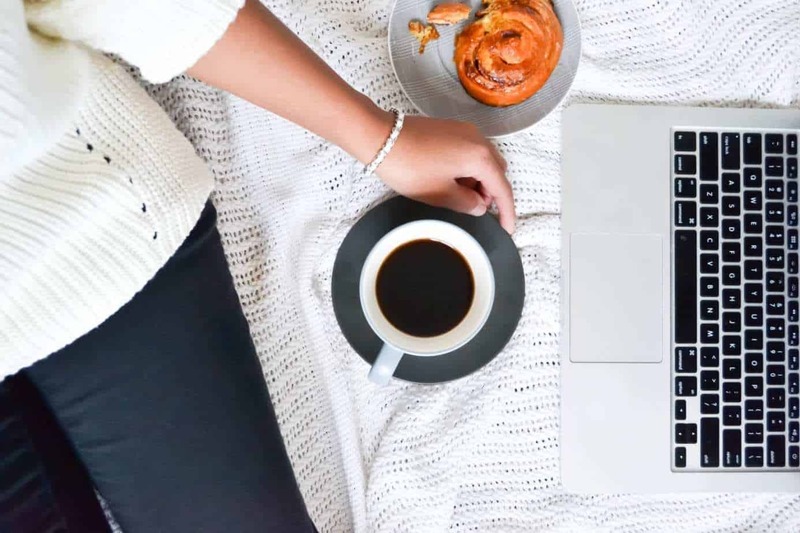 These fears about blogging shouldn’t stand in your way. It’s so you already remember that you believe in yourself, and that you can tell you that you’re ready for this. Everything you need to do this is already is inside of you. Honestly, you need no permission from me. Like I said – I’ll be your hype woman. But you need to hype yourself too. These fears about blogging? They mean something. They mean that you’re on to something. It’s up to you to proceed, but just know there are people backing you up. Once you back you up, there’s no stopping that train. The best and worst features of IGTV.